SHOCKING - Lab Test Reveals Less Than 2mg Sterols! Saw Palmetto Don’t you love company names like “Earth Wise” which sounds so natural and honest. Sounds like they care about the products they make. What a load of bull! 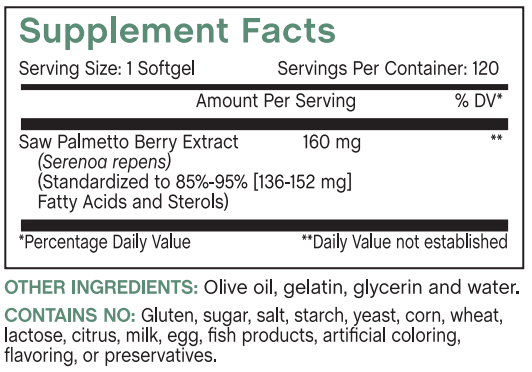 This product scored a disastrous .696mg in total sterols count per serving. That is not even 1mg. What the hell kind of help to your prostate can this offer? Zippo! They also use the word “European” in the name like that is supposed to make it better. Remember Saw Palmetto comes from Florida – not Europe. Complete waste of money.